My conference talk at LAST 2018 titled “Overcoming Your Immunity To Change” is available on Slideshare. We talk about people needing to change their mindsets or have an agile mindset. But what does this really mean? In this session we will cover a brief introduction to the research by Kegan and Lahey where they discovered that behind each of our habits is a strongly held belief that not only keeps us in our groove, but also fights any change that threatens the status quo. We will discuss why personal growth and increasing our mental complexity is so important for agile and business transformations in today’s VUCA world to succeed. We will create your Immunity To Change Map which is a simple way to bring to light the your personal barriers to change. We will start by outlining your commitment to an improvement goal. Then we will sketch out the things that you are either doing or not doing that prevent progress towards the achievement goal. The Map then identifies competing commitments, as well as the big underlying assumptions behind those competing commitments. The objective is to pinpoint and address whatever beliefs and assumptions are blocking you from the changes you want to make. You will leave this workshop with a better understanding and tools to overcome the forces of inertia and transform your life and your work. And through this journey you get a better understanding of what changing mindsets really mean. In this guest post Michael Gibson – Agile Coach at ANZ, presents a slightly different way of viewing agile maturity, through Dan Pink’s lens of Mastery, Autonomy and Purpose; as a simple and useful way of fostering conversations and ensuring all relevant perspectives are considered. Let me start by saying that if you haven’t seen Dan Pink’s video on ‘Drive; the surprising truth about what motivates us’, then check it out STRAIGHT AWAY. The concepts are very relevant to the agile space; and, for me, it’s up there with David Marquet’s video on ‘greatness’. Even though Dan discusses these concepts in relation to the individual, as key drivers / motivators; I also like to think about how these 3 dimensions can be applied in the agile context. Straight away you can see how the above relates to specific agile principles. And it seems to me that just about any agile value / principle you can think of can roll up under one of these. But why should I start thinking about my agile world this way? Well, these 3 concepts can act as a great, simple framework for thinking about how to create great agile teams – i.e. to consider how we can make each of our teams achieve mastery, become autonomous and to have purpose. Autonomy: we also know that successful agile teams are self-directing and possess the necessary skills to deliver their work – with as few dependencies as possible. Purpose: perhaps we can consider this from the alternate perspective – i.e. what happens when teams do not well understand the value they provide to customers and/or the reason for their existence. Teams without a purpose often spend their time on value-less work, thereby failing to deliver maximum value. And, depending on the specific method / framework you’ve adopted, some key agile roles translate very well to this way of thinking – especially when considering the notions of how ‘servant leadership’ focuses on 2 main things; enabling teams and providing them with direction / purpose. You may even use this construct when conducting health checks, both at the team level and for the scaled agile organisation (i.e. not specifically SAFe, but any method of scaling agile). Before I thought about things this way I used to utilise the traditional split of People, Systems / Tools and Processes – which is still useful, but not nearly as much as M.A.P. Leveraging this construct can save you time also – when talking to people about certain continuous improvement initiatives, you can simply say some like ‘This will help our squad achieve Autonomy’ – which folks can simply accept without much more explanation. But how does it work in the pragmatic sense? Well, as with most things agile related, you need to build something into your cadence. Many of you may have heard of a ceremony called POCLAC that commonly operates in agile organisations – well, POCLAC stands for Product Owner, Chapter Lead and Agile Coach – and is a squad level ceremony that, in the case of Spotify, bills itself as a ‘support structure for the squad’ (i.e. in the model of servant leadership) and focuses on overall squad performance and health from the perspectives of People, Process & Product – which is a fairly close match to Mastery, Autonomy & Purpose. So, given I prefer the Mastery, Autonomy & Purpose terminology over People, Process & Product, I’m going to opt for calling this ceremony SquadMAP instead of POCLAC. Note that with somewhat of a cross-over of purpose many often ask how SquadMAP and squad retrospectives align. i.e. why do you need SquadMAP when retros serve the purpose of continually improving squads. Well, typically Chapter Leads don’t attend squad retrospectives, which means that their perspective is often overlooked. A dedicated ceremony for Product Owners, Chapter Leads and Agile Coaches means that we’re covering off all the important bases. And those of you who are thinking ahead are surely asking yourself about how this applies when scaling agile – well, you guessed it, there’s also room for a TribeMAP, where the collective tribe leadership, Product Owners, Chapter leads and Agile Coaches gather according to a regular cadence to consider all things tribe health related – and similarly thinking along the lines of Mastery, Autonomy & Purpose. Agenda items are typically things that are being escalated from SquadMAP or squad retrospectives. But beware – do not assume or treat this group as a typical, old fashioned leadership team. It is a leadership group, but only in the context of servant leadership – TribeMAP exemplifies servant leadership by ‘enabling’ squads to succeed. The nature of the work our tribe is committing to (in alignment with its mission) doesn’t happen to logically fit with any of our current squad missions, and we’re tempted to artificially split the Epic into 2 separate ones – shoehorning each into separate squads. How SquadMAP and TribeMAP can help: in this scenario some senior squad members recognised this as a potential problem when reviewing the tribe backlog, and while considering which future work their squad might pull down. They’d noticed that a certain Epic didn’t fit nicely into any of the squad’s current missions – nor did any squad seem to possess the necessary skills to deliver that work. In this case, knowing that their squad couldn’t resolve this issue themselves, those individuals raised this issue for consideration by TribeMAP directly. During the next TribeMAP session the group sought to better understand the problem, and decided on some actions – which included confirming that the work should sit with that tribe and not another, and then reviewing the squad structure / skills mix to ensure it could deliver the work. Primarily, it’s the Autonomy and Mastery agenda that drives these actions. During several recent retrospectives, a relatively new squad has considered the reasons why they haven’t been delivering value to customers. They identified ongoing, systemic issues with their workflow that inherently involves dependencies on other squads within other tribes. And given the nature of this problem, the squad is not able to resolve this issue themselves. How SquadMAP and TribeMAP can help: In this case the squad escalates this issue to TribeMAP for consideration. This group makes decisions based on what’s best for the tribe’s ability to successful achieve its goals – autonomously. Which in this case involves acquiring new skills within the tribe and negotiating for, and taking ownership of those activities formerly performed by the other tribe. Again, it’s the Autonomy and Mastery agenda that drives these actions. I also believe that this lens will help us with the cultural change that’s so important to any agile journey. Exploring your world through this lens can help you identify the values and principles that are important to you, as well as the types of behaviours that you’d like to encourage or avoid. Perhaps the obvious example is to focus on the need to drive greater Autonomy within teams, which aligns well to existing agile principles and practices, but Mastery and Purpose are sometimes neglected. A focus on improving Mastery can help progress the way in which team members do their work; and the tools, systems and processes they use which will speed up their cycle times and shorten feedback loops. I find Mastery, Autonomy and Purpose a useful lens through which to view our agile environment; it helps us gain a more holistic perspective on our agile journey, ensuring we consider a wide range of success factors. 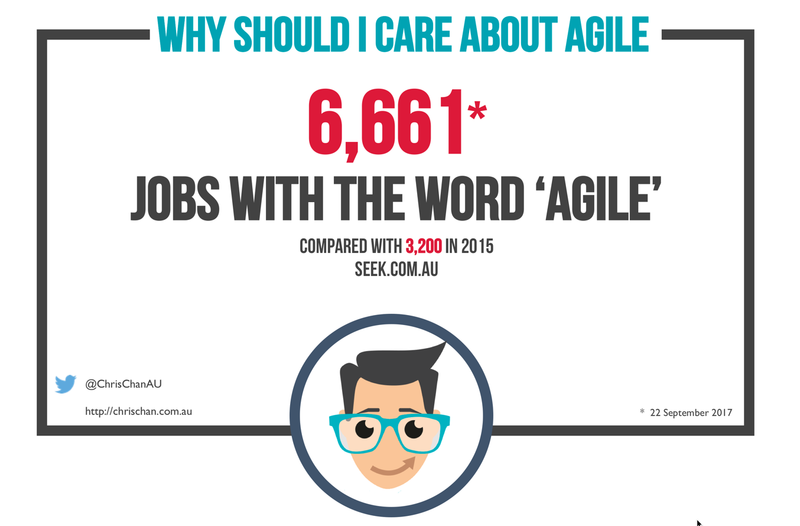 What I’ve covered above is only a small sample; I’d encourage you to consider how else it might help you through your agile journey – especially with respect to any cultural / behavioural challenges you may face. Can you remember a time when you received a letter from your CEO? Yes I did say letter, not email. In August this year, ANZ staff got an eight page letter from Shayne Elliott. The letter helped me understand how our purpose, strategy, culture, values, and our way of working fits together. If you are curious about what we are doing at ANZ and following my journey as we transform the 180-year-old organisation, then reading this letter will provide some context. For me, its a stake in the ground. The journey of transforming ANZ Banking Group into an awesome place to work has begun. It’s about three months since Shayne Elliott, CEO of ANZ publicly announced his vision and plans to make the bank agile as part of the transformation into a bank and brand people love. ANZ is a large enterprise with ~46,000 employees and the change of this magnitude will be complex. The ANZ transformation will be emergent and informed by the knowledge of the experience and making decisions based on what is known as we progress through the transformation. It will be guided by the agile values and principles as well The ANZ Way. This is ANZ’s vision for our purpose, strategy, culture and ICARE values. ANZ Agile Transformation: Shaping An Organisational Culture Where People and Teams Thrive! I recently joined ANZ as an Enterprise Agility Coach. My role is to help the bank create an agile culture as a strategic enabler, working with General Managers and other management roles. Along with other coaches, I coach people within the organisation to increase their learning agility, and through this, build a mindset of people to own the transformation. An agile organisation is about flexibility and the ability of the organisation to rapidly adapt and steer itself in a new direction. At ANZ the culture change and transformation to a new agile operational approach is called New Ways of Working or NWOW for short. Although its called New Ways of Working, the concepts of agile, lean and modern management principles have been around for decades but it is relatively new to many at ANZ. This means a key imperative for ANZ is to increase its learning agility. Why a learning organisation? Agile ways of working and learning are synonymous. Being agile means having a Growth Mindset which is a term coined by Dr. Carol Dweck. In essence, Growth Mindset is an individual’s belief that they can learn and grow, and can improve their capability through purposeful effort. 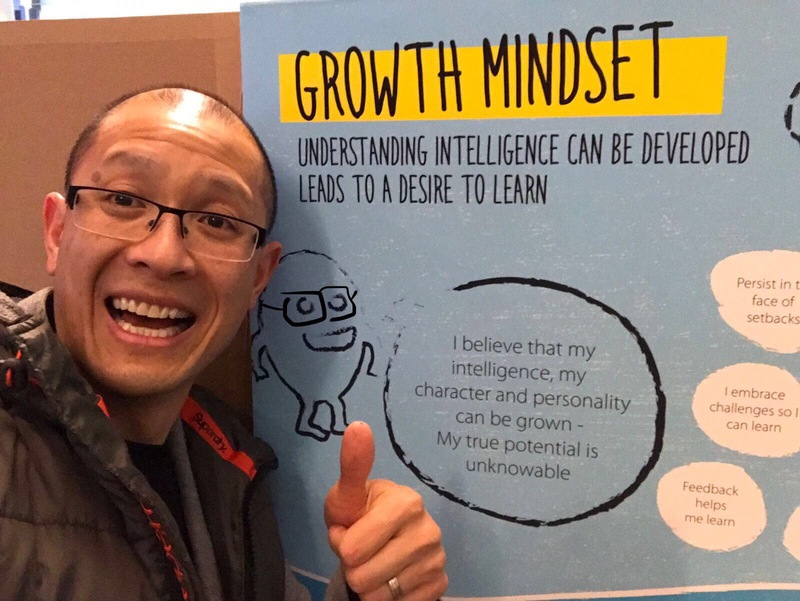 People having a Growth Mindset will enable ANZ to grow and adapt as an organisation. It is key to ensuring the collective energy, intellect, and unique individuals with varied talents are brought to bear on the change. However, once we have transformed into the next state, we will need change again as the world will have changed. We need to constantly evolve in order to stand still relative to a surrounding ecosystem1. By having a Growth Mindset and being a learning organisation, we will have the ability to constantly learn and co-evolve. Being a learning organisation and having an agile and growth mindset will allow ANZ to transform at will. We are embarking on a huge paradigm shift that is about creating a new operating model for the organisation that makes the existing model redundant. An incremental change to the existing operating model based on mid 20th century management processes and 19th century management thinking will not be able to take us into the future. This paradigm shift has clear leadership intent & purpose. This is where most business & agile transformations fail. Shayne Elliott and the executive group, lead by Katherine Bray have provided a strong vision and clarity of purpose for the change which is important for it to be successful. I have joined ANZ at the starting line and am really excited about the journey ahead. This will be the first of an ongoing series of personal blog posts about the ANZ agile transformation and my journey working in a team of coaches helping to build a learning organisation and creating an awesome place to work for everyone at ANZ. There’s an audio podcast called The ANZ Way that can be found on iTunes and Soundcloud. I would recommend you listen to the 3rd podcast – New Ways of Working to hear more about the change. In this episode Katherine Bray discusses important issues about the change and answers some hard hitting questions. The world has changed and the pace of change is accelerating rapidly. The customer is the new boss and their expectations are higher. Empowered customers increasingly expect you to do business on their terms. Digital disruption is changing how companies deliver the value proposition of existing goods and services. Globalisation has created a market dynamic that fosters competition on a grand scale. The world is complex – it is made up of many connected parts along with a huge number interactions which have unclear cause and effect. This is makes picking the right path forward difficult. All this means your business models that were suited to slow, sluggish and low dynamic markets are now obsolete. You will need to rethink your core business and operating assumptions from the ground-up. 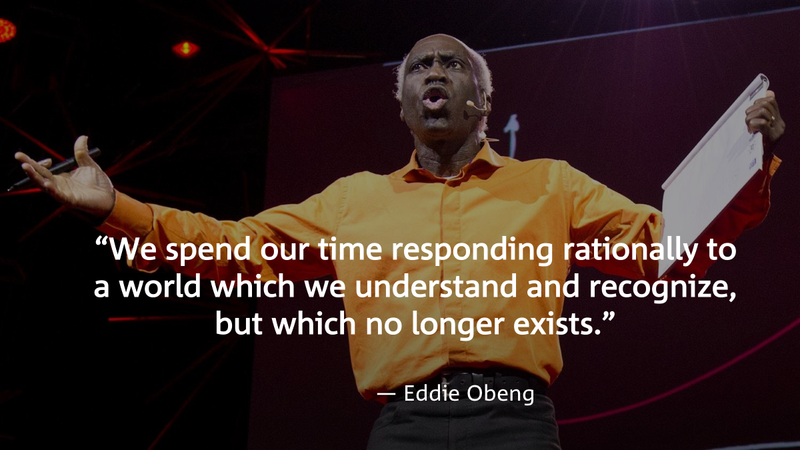 In his Ted Talk ‘Smart failure for a fast-changing world‘, Eddie Obeng reflects on the how rapidly the world has changed in the modern and digital age. He explains how the change was so rapid that the ‘world after midnight’ was significantly different due to organisations slow rate of learning. As a result most of us are not equipped to handle the pace of change because we are using old rules to do so: “Somebody or something has changed the rules about how the world works.” The practices, processes, assumptions that we commonly used to plan, manage, lead, organise, and govern are obsolete and are now damaging to organisations. 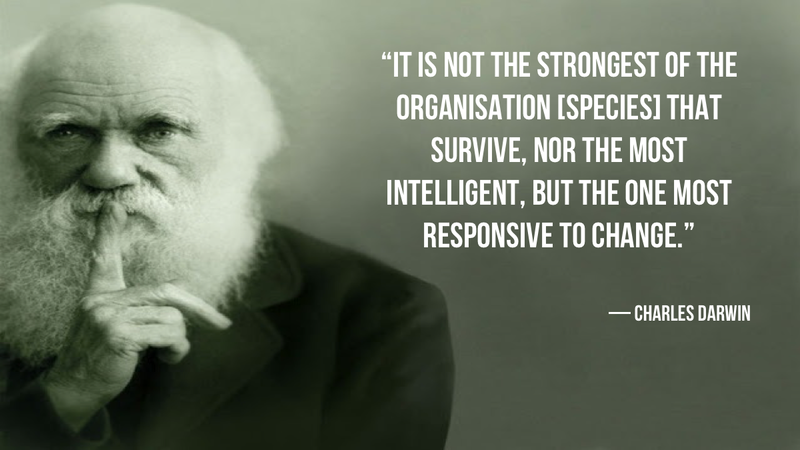 Due to this failure to learn many organisations have not evolved over time to survive or thrive in the current state of the world. To bring their organisations to the moden era, many leaders are embarking on business transformation initiatives. Business transformation is a change management activity to move an organisation from one operating model to a new operating model which has the aim to align people, process and technology of the company so they can better realise its business strategy and vision. Over the past 10 years the number of organisations undertaking a transformation has boomed with many companies increasingly turning to agile as a panacea to address it’s organisational problems. There are times when the transformation goal is misguided as leaders may not actually know the problem they are solving or they embark on solving the perceived problem. With the urgency to transform leaders in organisations look to find a quick or comfortable solution to solve their problem. This has given rise to organisations implementing SAFe by the book, trying to copy the “Spotify Model” or roll-out the consultancy’s approach. This is the approach they understand – big top down batches of change. Ever since Henrik Kniberg released the fascinating document, Scaling Agile @ Spotify with Tribes, Squads, Chapters & Guilds in 2012, all of a sudden every organisation now has squads, tribes, chapters and guilds. But that was a point in time. You shouldn’t copy it in your own organisation as the context will most likely be different. Speaking to someone I know in Spotify, they talk about there is no such thing as a “Spotify Model”. Even people within Spotify talk about their way of working changes all the time as employees are encouraged to learn, discover and adapt their way of working continuously. There is no one way in which software is developed at Spotify. Spotify tries to be the best learning organisation they can be. That way they are constantly innovating and creating their own future. In a bid to solve a demand in the market, there are many consultancies now offering Transformation Services. The issue with this approach is that there is no recipe to transform an organisation. Each organisation is different and no two organisation’s cultures are the same. Furthermore, it is most likely no one has transformed your organisation before. I have experienced and heard countless stories where consultancies were accountable to execute the transformation of an organisation but the changes never stuck. Many consultancies that have strong strategic management capabilities are pushing into implementation but we are finding they are lacking experience and capability. Most of the time it’s to implement a particular methodology or follow a playbook which is out of date as quickly as it is produced. In this scenario, “organisational change is treated as a product—sold by consultants, paid for by leadership, and consumed by the rest of the organisation as directed.” . Any ideas or suggestions of incumbent employees are often ignored. There is often a trust issue as people are more likely to trust colleagues who are part of the journey, rather than someone who is external. Change needs to be done with the people, not on the people. Another challenge is that the consultancies main stakeholders are the not the people of organisation they are trying to transform (they don’t report to them) and it’s certainly not the organisation’s customers. Furthermore, the consultancies have a commercial outcome they need to realise. This does not align to a cultural change outcome which is important for the transformation to progress and this takes time to develop. And how do you measure success for a transformation? First and foremost an organisation is made up of interconnected people – it is a social network that is striving to pursue a collective purpose. An organisation is an open and complex adaptive system – they affect and are affected by their environment. Company culture is the personality of a company – it is the social behavior and norms found in the organisation. No single person can own the company culture as it is made up by its collective people. A transformation can not be treated like a program. There is no end date. It is not mission accomplished after 18 months. Any failed transformation can be traced back to a misalignment of vision, purpose, values of people within the organisation. It’s not about changing processes, implementing new tools, or putting new structures in place. As quickly you have transformed to one state, you will need to start transforming to the next state. What you want is constant evolution as the organisation adapts to its ever changing environment. There is no done. For years automotive manufacturers have tried to copy the success of the Toyota Production System (TPS) that has made Toyota one of the most successful companies in its industry over a long period. Why have they all failed? It is the 14 Principles of The Toyota Way that underlie the company’s philosophy, managerial approach and culture. At best you can copy the practices, but what you can’t copy is the culture. It is the culture that makes Toyota successful. Certainly the thieves may be able to follow the design plans and produce a loom. But we are modifying and improving our looms every day. So by the time the thieves have produced a loom from the plans they stole, we will have already advanced well beyond that point. And because they do not have the expertise gained from the failures it took to produce the original, they will waste a great deal more time than us as they move to improve their loom. We need not be concerned about what happened. We need only continue as always, making our improvements . I have seen organisations and teams where they implemented a new system of work but then remained static for a number of years. They only were taught to implement some practices and process. What they failed to do was learn how to learn or adapt. A goal of a transformation should be to strive to be a learning organisation. By building a culture of learning, you only have to transform once and then never have to transform again as people within the organisation are constantly learning and adapting its way of working. That way you build the muscle memory needed so you can constantly change as the world changes – this is true Business Agility. Having been part of multiple transformations and from multiple view points a key learning is that the people in the organisation needs to own the transformation. The organisation needs to build capability, knowledge, skills and ability to transform and learn. You can’t outsource it. You want patriots not mercenaries because patriots connect with the vision and purpose of the company. Also, the knowledge workers have intimate knowledge of what is going on. The last point of Edward Deming’s 14 Points For Management, states that the transformation is everybody’s job in the organisation, not just a select few. Put everybody in the company to work to accomplish the transformation. The transformation is everybody’s job. Much of Agile ways of working is about feedback loops and gaining knowledge from experience and making decisions based on what is known – understand in reality what worked and didn’t worked so you can make adjustments accordingly. This also applies to transformations. The transformation plan is not linear, and requires many fast feedback loops and continuous adaptation. The approach that worked in one organisation may not work in yours. Also what worked in one team in the same organisation may not work in another. Transformation is best achieved with top down intent and with bottom up implementation. The best managers figure out how to get great outcomes by setting the appropriate context, rather than by trying to control their people [Netflix]. With a culture of learning established, management should set a vision, manage the boundaries and help teams establish a system of work. The system of work should be owned by the people doing the work. If you do this, you will be living the first value of the Agile Manifesto – “individuals and interactions over processes and tools”. Your people are the competitive advantage. Let the people own and create the organisation’s new reality. Own your business transformation. The change needs to be done by the people, for the people within the organisation for it to succeed and be sustainable. Don’t delegate this accountability. Don’t rely on others to do it for you. This webinar was recorded in June 2014. I was on a panel with Bernd Schiffer discussing the role of a BA in large agile environments hosted by Pete Cohen. I forgot to post this at the time and although it was two years ago the discussion is still relevant today. Thanks to Lynne Cazaly for capturing the following visual notes of the session. My presentation at LAST Conference 2016 titled “Agile Innovation and Thinking Like a Startup” is available on Slideshare. Many enterprises are struggling to innovate whilst smaller startups are disrupting the market. Existing organisational business models work well in a known and predictable environment. However, these approaches fail when applied to an uncertain and changing environment. In this session I will discuss the different approaches and how an organisation can balance a portfolio that both can exploit existing opportunities while enable the exploration of new opportunities. I will draw on my experience working with some innovation teams in an enterprise and how we are re-focusing agile back to its roots and thinking like a startup to evolve the way we work. Participants will also gain an understanding how Design Thinking/Human Centred Design, Lean Startup, Agile and Business Model Innovation can blended together to transform the way you work to enable innovation within larger enterprises. @c2reflexions #leanconf "Point of MVP is minimum you can do to get someone to actually do something, not just "say" they will. Validate. The presentation I delivered last year at 1st Conference 2015 titled “Evoking Excellence Through Agile Coaching” is available on Slideshare. LAST Conference 2016 – Pirate Metrics AARRR ! My Lightning Talk at the opening session of LAST Conference 2016 titled “Pirate Metrics” is available on Slideshare. The talk is a quick 5 minute introduction to the Pirate Metrics based on Dave McClure’s startup metrics. Fans of Lucas Art’s game ‘Secret of Monkey Island’ would enjoy the inclusion in my talk. AARRR!! !